Many loved the Opera browser before being more Chrome than Opera. To fill this gap, ex-developers of Opera created Vivaldi. Vivaldi is a stylish browser that runs as fluidly as the former Opera. Whether or not I'd recommend it is up to you to read in this blog post I'm making about Vivaldi. So please keep reading. If you are a returning visitor, this is nothing new. 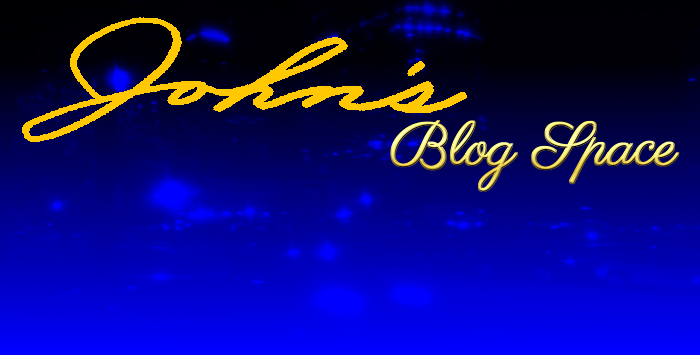 But if you are new here, welcome to "John's Blog Space!" To avoid any kind of confusion with names, I am using "Vivaldi Browser" to mention the browser. I am even using the Vivaldi browser to upload this review on Blogger/Blogspot. ^ from: (Twitter) - Vivaldi - "a browser for our friends." Vivaldi was born sometime earlier in 2016. This browser was created off of the Chromium browser. Even extensions for it are done through the Chrome Web Store. Apart from my poor experiences with Chrome, however, Vivaldi is NO Chrome. Many of its features are incredibly adaptable. You can port over content from other browsers to make the feeling out process easier when you first use Vivaldi. Once you settle in, you're ready to go. A lot of the features in Vivaldi are features I recall from the former Opera. You can change options such as sizing the text and images, notifications to certain sites, and things like that. One thing I did remember enjoying was ad blocking on certain shady websites. Unfortunately, you have to download AdBlock Plus for Vivaldi if you want to enjoy blocking certain sites' ads, because AdBlock Plus does NOT come with Vivaldi. You can choose certain color themes for Vivaldi. When you visit some websites, the main window color adapts to the website and provides a nice color scheme for you. For example, if you visit Amazon, the top of the browser window will turn orange. Many other sites you visit will have different colored windows to them. If you don't like the light themes, there are dark themes available. You can even arrange to set certain themes based on times of day or night. If you make your own theme, you won't get to see windows in other colors. As for browsing, the experience is wonderful. I hated how Opera had the Speed Dial thing or using the address bar for searching. I always liked having the address bar and search engines separate. You can even add and remove certain search engines to have more searching options available. Past search results can be removed from the search bar. However, if you have multiple things you searched for, you may not be able to remove all of those search options at once. You can add Favorites to your searches. One thing to note, though... you MUST confirm certain re-naming by pressing Enter. Otherwise, the names of certain items will not be saved. It can also be a bit tough trying to drag-and-drop items into folders. It won't immediately go into a folder you specify sometimes. You can open the panel to manually adjust certain items in folders. You can even use the panel to manage downloads and even add notes. Most of the operations have been mostly fluid. Even when I view HTML5 for YouTube videos in Vivaldi, the operation remains mostly fluid and stable. There just isn't too much to complain about when using Vivaldi. Vivaldi is a must-download. This browser filled many gaps left behind by the Chrome takeover of Opera. Annoyances and complaints regarding Vivaldi are mostly minimal. It isn't perfect, but it is an excellent browser that is adaptable and useful on many different levels. You can get Vivaldi for Windows, Mac, and Linux. Start your Vivaldi journey today by visiting vivaldi.com. I am very pleased you were able to visit my main blog and gauge its content. Did you enjoy this post and my blog? Make sure you are Subscribed and Followed across various media. Please be sure to support me and my work if you enjoyed it. Please? Thank you for reading! Take care and be well.